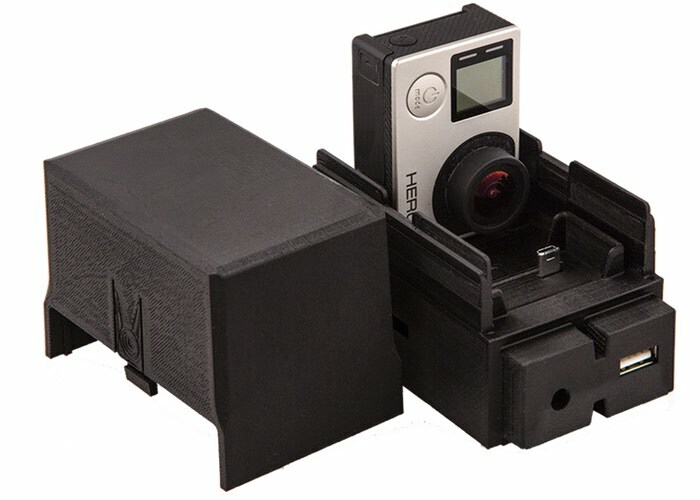 GoPro action camera users that are looking for an expandable GoPro camera dock may be interested in a new system that has been created called the ChargerPro, which allows you to charge multiple cameras at the same time as well as providing extra microSD support and additional USB charging capabilities. The ChargerPro project is currently over on the Kickstarter crowd funding website looking to raise $150,000 in pledges to make the jump from concept to production. Check out the promotional video below to learn more about the ChargerPro’s design and features. Those of you who are thrill seekers and don’t as yet know what GoPro cameras are, go grab them now because they are the best way you can flaunt your thriller experiences and live the moment again and again. GoPro cameras are action cameras and are mostly used in extreme action videography, as well as video productions. We record our adventures but charging and downloading files from multiple GoPros is a hassle. The ChargerPro will simultaneously charge and connect two GoPro Hero 3 and 4 cameras to your USB cable. Five ChargerPros can be chained together to charge up to 10 GoPro cameras at the same time. The setup of ChargerPro is easy and quick, saving your time and energy. Simply plug it into the wall and connect your computer with your USB cable. So if you think ChargerPro is something you could benefit from, visit the Kickstarter website now to make a pledge from $55 and help the ChargerPro become a reality via the link below.